Happy Birthday to me, happy sale for you! Today is my birthday--and it's a big one. Let's just say I've been enduring a whole lot of teasing about bifocals, hearing aids, and whether or not I can get around the house. To help take my mind off of my astronomical age, how about a BIG sale? 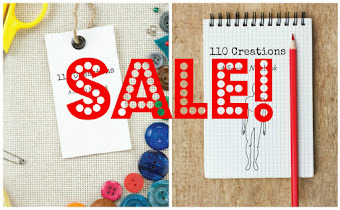 Today only, not only can you receive FREE SHIPPING on A Sewist's Notebook, but it's also 20% off! This is the biggest sale I've ever had, so order now and treat yourself on my birthday. Use code DBS15 at checkout for free shipping, and the 20% off has already been applied. Stock up now, these make great gifts! Offer ends at midnight eastern! 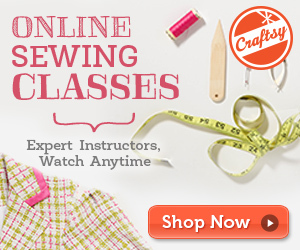 If you love garment sewing, you are addicted to love fabric. Soft and squishy, furry and structured, fabric=possibility. But as easy as it is to love, it's actually very difficult to master. 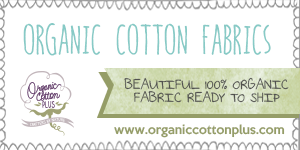 There are SO many different kinds of fabric, with such a range of uses, that you can spend years (decades?) studying it and still have more to learn. I've read a ton of books about fabric, as well as trained extensively in the good ole fashioned method of pet-and-learn (fabric, not people). 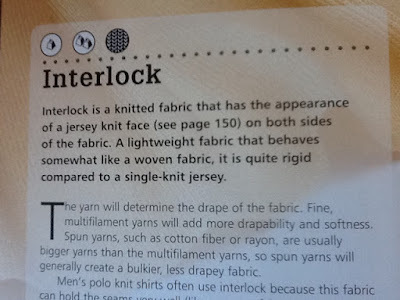 My favorite book for a beginner is Fabrics A to Z (reviewed here). Just enough info to get your feet wet and not be overwhelming. 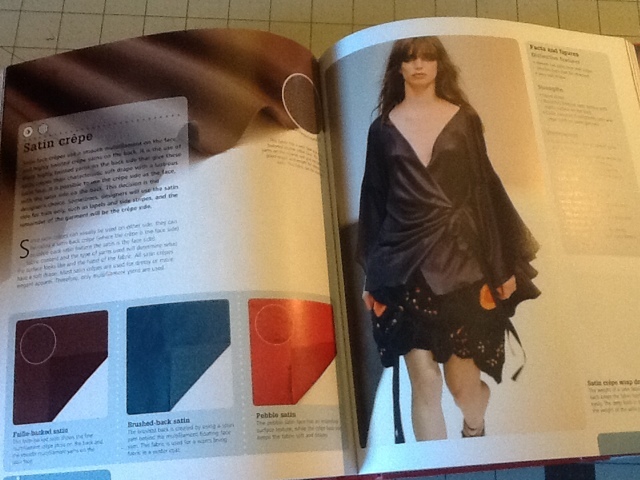 For a more advanced schooling, I really like my most recent addition, The Fashion Designer's Textile Directory. There are a couple things about this book that make it unique (in my experience). The reason the title aims it towards fashion designers is that the book divides the fabric types up by function: structure, fluidity, ornamentation, expansion, and compression. In other words, broadcloth, challis, embroidered fabrics, tulle, and swimsuit knit would go into those categories, respectively. Within each division, the fabrics are then ordered by weight. For example, the structure category covers everything from lawn to leather. 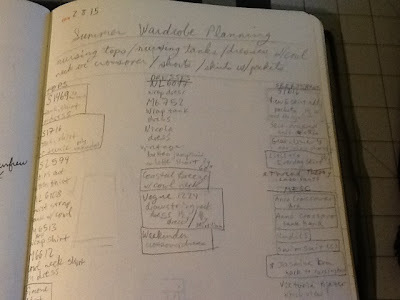 This kind of organization is useful for a fashion designer who might have a sketch and not be sure of the best fabric for accomplishing it. The home sewist might use it in a more backwards fashion than that, coming across a specific fabric (in a store or perhaps on a pattern envelope) and looking up its properties. Not sure which is heavier, poplin or sateen? This book gives you a great, quick reference. The second strong point of this book is the extensive information on fabric weaves and knit patterns, a particular weak point in my knowledge. I mean, I've only been sewing for 3 years, it's taken this long just to get a handle on fibers and fabric names! 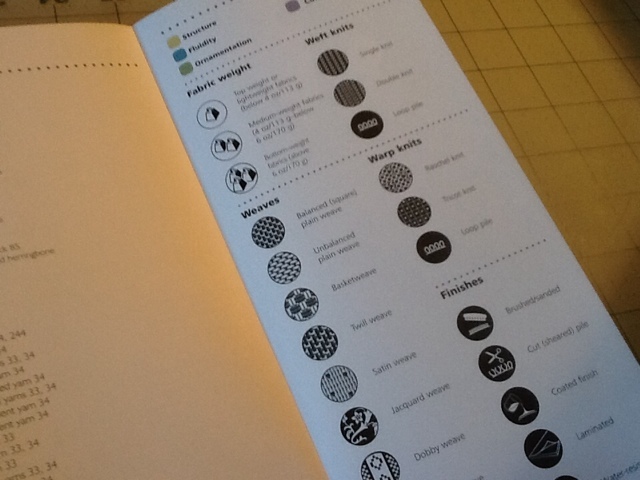 In the book, there are icons with each fabric to show you the weave type. There is even a fold-out flap key that you can keep open if you're reading a lot of pages at once and need a quick reference. 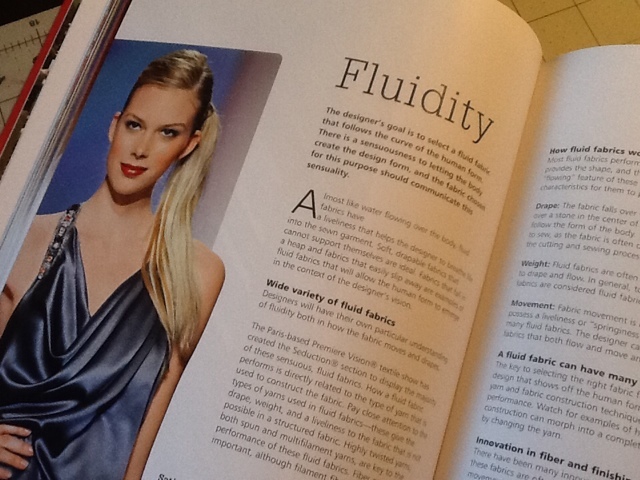 Each of the weave/knit types are explained in more detail in the opening pages of the book. Lastly, there are a TON of pictures, both of fabric swatches and actual garments. I have a hard time getting into a book about something creative if the design is ugly, but this one is gorgeous. Getting back to the fashion design suspect, the garment photos are mostly from runway shows, which is fun and inspiring. I only found one drawback, and this is probably just me. 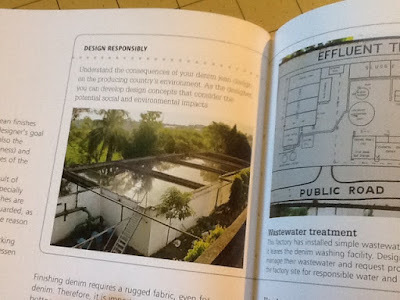 The book had a pretty heavy tone on being environmentally responsible with all aspects fashion design, from sourcing fabric to changing your designs so they are more eco-friendly. I'm not saying that I disagree with this sentiment, but the concept was so repetitive throughout the book that it felt like being preached AT instead of being given an option to use my own brain. Not a huge deal, but if that kind of thing bothers you a lot then keep it in mind. If you're looking for a book that covers the function of a wide range of fabrics (homespun, film, buckram, power mesh to name a few I haven't seen in other books) this is a great one to get! I know I'll be turning to it a lot in the future. The alternate title of this post is: Why You Have TNTs. Let's get this straight right off the bat: I love Seamwork magazine. The patterns are cool, the articles are in-depth and unique, and I learn something each month. But I've had no luck actually making the patterns (see my Oslo cardigan here). I've made a ton of leggings from my TNT, McCall's 6137. That pattern is only one piece. The Manila Leggings have a front, back, waistband, and the super cool petal cuff. I wanted to try a pattern with more pieces to see how it would affect fit and maybe provide more opportunity for fun details. I'm now 6 months pregnant. My other pairs of leggings actually fit fine, I just have to yank the rise way down under my belly. I prefer a low-rise legging anyway, pregnant or not. 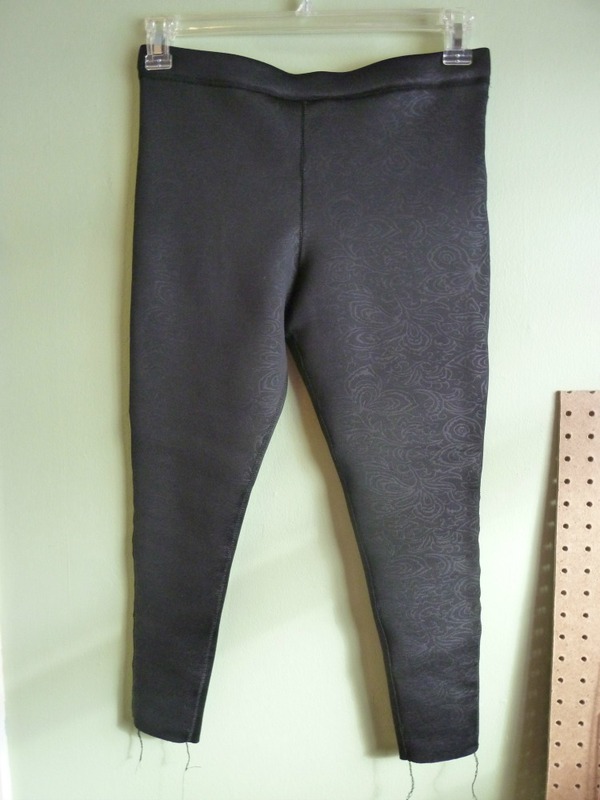 To determine the right size for my Manila leggings, I extensively studied a pair of RTW leggings as well as my me-mades. I ended up tracing off a size small, though my 38" hip put me at the top end of a small/lower end of a medium. I then removed 1" from both the front and back rise (to match my RTW pair). I tested my fabric against the stretch guide provided with the pattern and it worked. 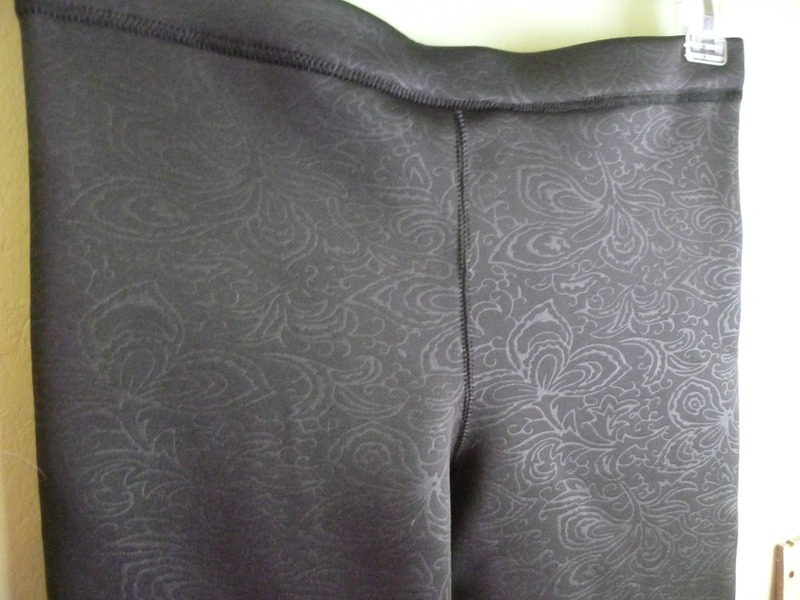 Oh the fabric...it is an AMAZING poly/spandex ponte from Mood, with an almost embossed floral pattern. 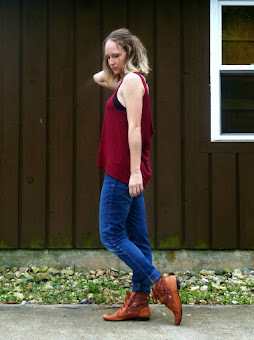 Nikki from the Mood Style blog made a great dress with it here. It's thick and what I imagine scuba fabric to be. I'm beyond sad that the leggings didn't work out because the fabric is insane. Anyway. I'll spare you photos of the leggings on me (I'd have to be fairly uncovered and showing too much preggo belly) but they are far too tight in the legs, too baggy around the waist, the front rise is too long and the back rise too short. The finished dimensions match my RTW leggings but the stretch of the fabric doesn't, so they're too small. They might work when I'm not pregnant, so until that time they're going into the UFO pile. No sense messing around with either the leggings or the pattern in the next three months. 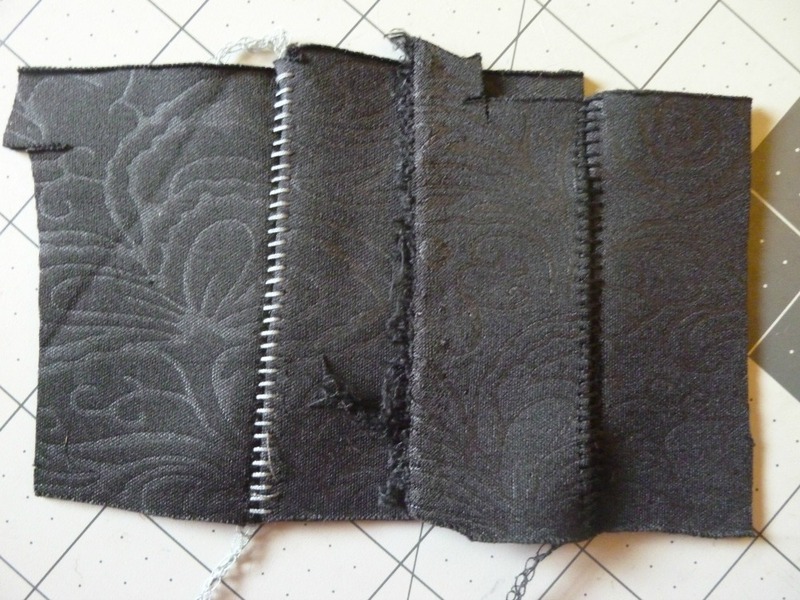 A note about construction: my fabric was so thick that I used a flatlock stitch on my serger for all the construction. 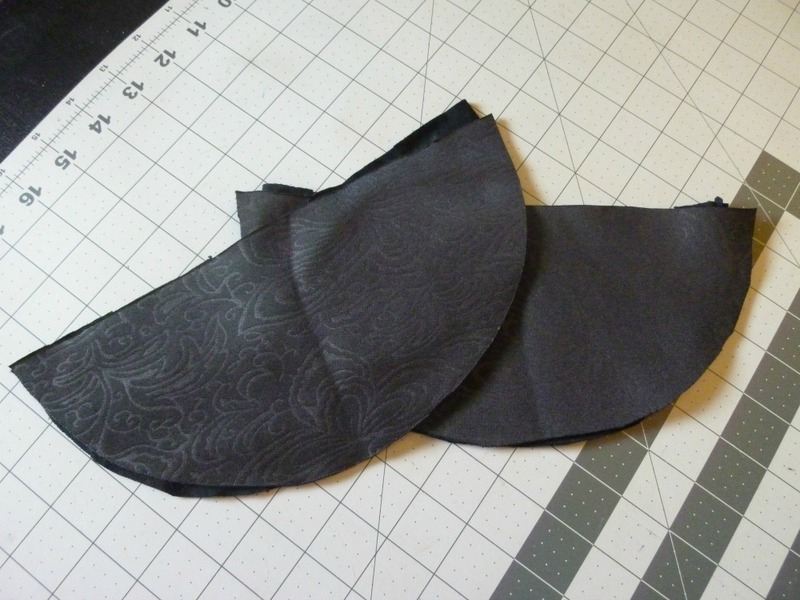 A flatlock stitch butts the cut ends of the fabric together rather than creating a seam allowance. 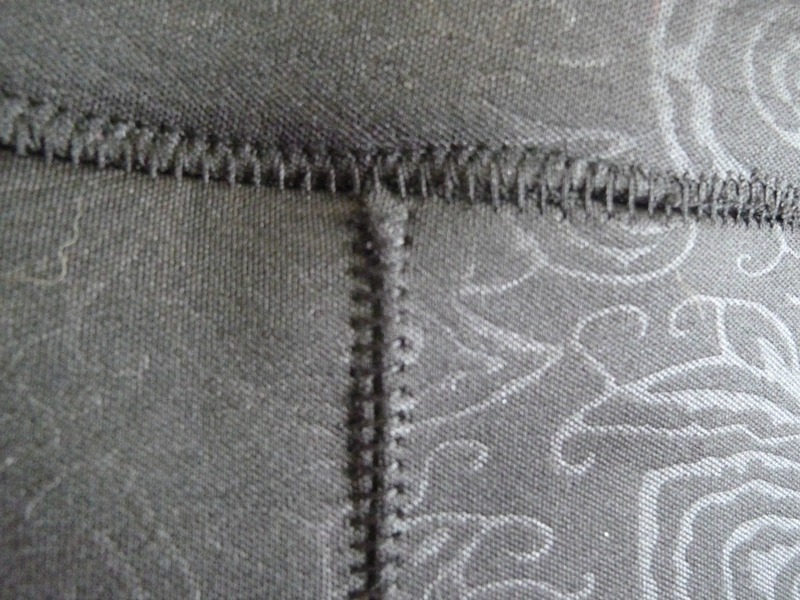 I noticed that my RTW leggings use that stitch on the waistband to reduce bulk. I did a few test samples with grey thread before switching to black. I love the way the flatlock turned out, especially on the waistband, and since it's not difficult to do I'll try it again in the future. For reference, my settings on my Brother 1034d were: left needle 1, right needle (not used), upper looper 4.5, lower looper 6; stitch length 3.5; differential feed 0. I can still get the benefit of the Manila leggings if I use the petal cuff pieces on my TNT. It's likely that I'll do that in the future, rather than messing with the fit of the Manila. Ain't nobody got time for making TWO TNT leggings patterns! So this is the end to a mediocre season. I'm kind of grateful, to be honest! Highlights: Sonjia designing for herself was smart. With such a limited amount of time, she couldn't afford to get distracted. Lowlights: I'm not sure it's fair to have the helpers drape. I know that in an atelier situation, there are lots of people who do that work on behalf of the designer, but there is so much emphasis on OMG ALL STARS that it seems inappropriate. I have a real problem with the amount of time the designers were given. Dmitry and Helen both work in intricate details and Sonjia relies on color and fabric. That puts her at an advantage. And we will NOT see their best work in 4 days. Sonjia: Too much reliance on special fabrics. Too many lace pieces we've seen before. I am glad she made a glam swimsuit, and her jumpsuit was cool (but didn't Fabio drape that?). Even if it was the same swimsuit she made before, at least this one looked finished. Dmitry: Did skew old and mostly fall. Loved the pink dress (of course). I wasn't into the 80's looks as much as the judges were. Overall I was disappointed. Helen: Pleasantly surprised. More lace, blah, Sonjia ruined that for me. I didn't love everything but some pieces were very nicely done. I told my husband before the runway show that it would be between Dmitry and Sonjia, and I truly thought they'd give the win to Sonjia. I was honestly surprised he won, although I believe he's the most talented designer. Dmitry was my fave in his first season and in this one, though I wish he would design for a younger woman (me). He's the only one who seemed to keep his cool throughout the season, which surely helped him succeed. Your thoughts? Were you disappointed, are you glad this season is done? At least we don't have to see any more poorly-dressed preggo Alyssa Milano! 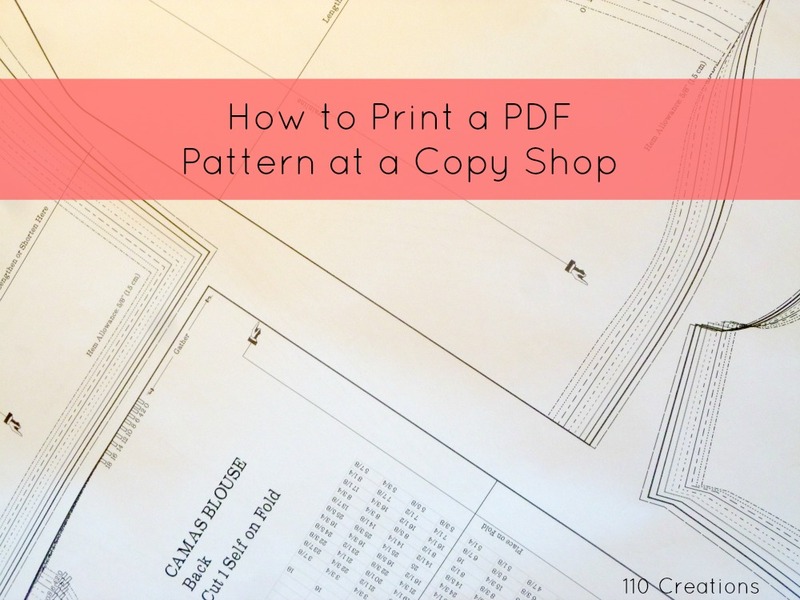 Today I'm guest posting over at Sew Mama Sew with a how-to about printing PDF patterns at a copy shop. I recently went through the experience myself, and I hope I can give a few tips and tricks for making the process run smoothly. Head over to SMS for the full post! I think I spend as much time planning my projects as I do sewing them. I recently had a big fail with a winter garment for me (Manila leggings, I'll share next week) and in frustration I swore off the rest of my winter sewing. Baby #2 is due mid-May, and until then I think I can coast on the wardrobe I have. I'm tired of maternity sewing! I decided to shift my focus and think about my post-baby clothing. After nursing my first child, I have a better idea of what types of garments I need for that arrangement. Really, you can nurse in almost anything, with the exception of woven dresses. My preference is knit tops and dresses with cowl or crossover necklines. I expect that pockets will become even more necessary with two kiddos. My default in the summer tends to be shorts and tank tops, although I'd like to include more skirts. I have so many patterns that I forget about, so I got out all my bins and went through my digital files one by one. 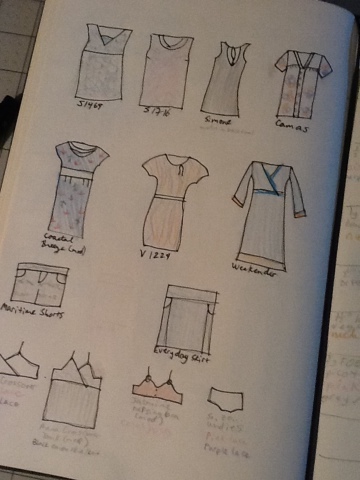 I made a giant list of any pattern that I could wear for nursing this summer. Next, I put a box around anything that I actually wanted to sew. Then came the fun part, matching patterns with fabric! I can't wait to get all the details down in my Sewist's Notebook. If it can all fit on one page, it's a reasonable seasonal wardrobe, right?! I'm ashamed to admit that there are a few items here that I've been meaning to sew for years. The blue crossover dress (from the Weekender kit on Craftsy) was a Valentine's Day present last year. I've had Vogue 1224 AND the fabric for it since February TWO years ago. Shame. There are also a few necessary underthings here. Nursing undergarments are almost more important than what you're wearing on the outside. I'd love to try hacking the Ohhh Lulu Anna Crossover Bralette into a nursing tank, and the Jasmine bra into a nursing bra. I also want to make another swimsuit, but I'm undecided on the pattern. My plan is to start making these garments now, even though I can't wear them until May. I'm kind of concerned about sizing, but hopefully the addition of a few pre-preggo TNTs will help. The Maritime Shorts are a new pattern for me, so those will have to wait for a proper muslin. I have no idea how much I'll be able to sew once Baby #2 is here. Hopefully having new me-mades waiting for me to wear will make me feel better about less sewing time. Have you ever sewn ahead one (or two) seasons? Was it worth waiting on new garments or kind of a bummer? Did anyone keep a count of how many times the word "iconic" was said in this episode? If I weren't pregnant, that would have made a great drinking game. Highlights: Finally, Helen could say "this IS what I do" instead of "this is NOT what I do". Although we did have to hear Sanjia say "pencil skirt" AGAIN. Not gonna lie, the fabrics that the designers bought made me swoon a bit. Mood has some seriously beautiful fabrics. Hahahaha Dmitry not knowing who Lassie is was hilarious, although I felt bad for him being allergic. The entire sideshow with the dogs was ridiculous, of course, but I've come to expect that from this season. Lowlights: One day for a red carpet challenge. Boo. Why does Helen have such a hard time realizing that her designs are old? She's young. Why aren't her garments young? She seriously gets in her own way. Best garment: Michelle's really was stunning, although I can't imagine the see-through factor working out well at the Oscars. Too many flashbulbs. Worst garment: I immediately wanted to look away from Sonjia's dress. It was so bad to me. Timeless?!? It might have been better with a ballgown skirt, but that tight, long pencil skirt did not appeal to me. Dmitry and I guess Sonjia deserve a spot in the finale. I haven't loved much of what Sonjia has done, but most of the time it's at least innovative. I guess I would have been fine with either Michelle or Helen. They both had some hits and misses, though Michelle should have been eliminated immediately for not meeting the requirements of the mini-challenge. Next week: The finale! A collection in four days...I hate this. Looking for a little inspiration during this cold weather season? I've got a great group of patterns and fabrics for you today! We're sticking with the same color palette as last month, with some new silhouettes. Bundle up and stay warm in your me-mades while the snow is coming down. There have been some very cute Hollyburn skirts floating around the web lately! Pair it with a Simplicity blouse you can tuck in, throw on a Butterick cardigan and some Alice Tights and you'll be the best dressed lady at the office. On the weekend, relax in the comfy Wyome boyfriend jeans and a McCall's sweatshirt. Add a faux leather biker jacket from BurdaStyle for instant cool. The Hollyburn skirt looks beautiful in teal wool crepe from A Fashionable Stitch, especially when paired with an ikat print faille from StyleMaker Fabrics. Use this nylon netting from Hart's Fabrics for the Alice Tights, and a cozy cotton spandex knit from Girl Charlee for the cardigan. When you head out on the weekend, of course you need denim for your Wyome jeans, like this non-stretch denim from Mood. Up the ante on a regular sweatshirt with this cotton fleece that contains lurex, from Gorgeous Fabrics. Sew a classic brown leather jacket with this faux leather from Girl Charlee. This post is not sponsored by any pattern designer or fabric seller. I wish. I just have too much time on my hands and love planning wardrobes! Check out my Mood Board of the Month Pinterest board for all the links to my inspiration. I think it says something about this season that I almost always forget it's on TV. My DVR does all the heavy lifting, of course, but then I'm not too jazzed to sit down and watch. There have been many weeks where I thought the challenges were interesting but the designers didn't live up to them. This was one of those weeks. Highlights: Marchesa. Drooooooool. I always thought I'd want a fairly plain wedding dress, but then when I got engaged I definitely gravitated towards lace and beading and bling. Gorgeous. I thought there would be a LOT more complaining about sewing a bridesmaid's dress. If there was and it got cut, oh well. Lowlights: I thought the underwater swimsuit fabric was stupid...a "wedding" on the runway was even worse. So. Dumb. A budget of $150. If I can easily spend that on a polyester dress in Indiana, then how were these designers supposed to make something amazing with the same budget? Stupid. I've ordered a swatch of that silk jersey from Mood (link), and it's $50/yard. Frankly, I don't know how Sanjia managed. Best garment: I didn't like any of them. I would love to say that with two days and more money, the designers could have done better, but I'm not so sure. Seriously, they need to give these guys a break halfway through because the show itself suffers. The drama of watching someone cry is not worth seeing crappy dresses. Worst garment: They were all bad. Boring, poorly fit, and even though she won Helen's was more of a mother-of-the-bride design than bridesmaid. By the way, shouldn't it be acknowledged that the bridesmaid is required to NOT look as good as possible? I found Georgina's judging to be fascinating this week. She talked a lot about "resolving" the designs, as if they were math problems with right and wrong answers. I understood Alyssa's point that sometimes it's a matter of preference, but Georgina is right. There are rules of good design, and if you're going to break them it should be for a good reason. Next time I'm stuck on one of my own projects, I'll try looking at it as if it's an equation and see what that does for me! Next week: dogs pooping on the floor?